Tidewater has a global footprint, with over 90% of its fleet working internationally in more than 60 countries. Around the world, we stand ready to transport crews and supplies, tow and anchor mobile rigs, assist in offshore construction projects and perform a variety of specialized marine support services. Preserving our financial strength through solid returns, a strong balance sheet and disciplined capital management. For all of our stakeholders, there’s not a stronger partner than Tidewater. Tidewater’s story begins in 1955, when a group of investors led by the Laborde family of New Orleans pioneered the development of the first offshore service vessel tailor-made to support the new and growing offshore oil and gas industry. 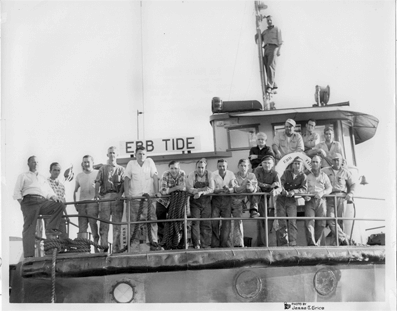 A year later, as the vessel Ebb Tide prepared to sail to work in the U.S. Gulf of Mexico, Tidewater Marine Service, Inc. commenced operations. Its first leader was John P. Laborde. Now, more than 60 years and many vessels later, Tidewater remains the leader of the industry it created, following the search for oil and gas into increasingly deeper waters globally and extending its proven record of service to installations closer to land. In the process, the company has earned a reputation for anticipating and responding to the changing worldwide needs of energy exploration and production. Since its earliest days, Tidewater has worked to expand its services and markets. 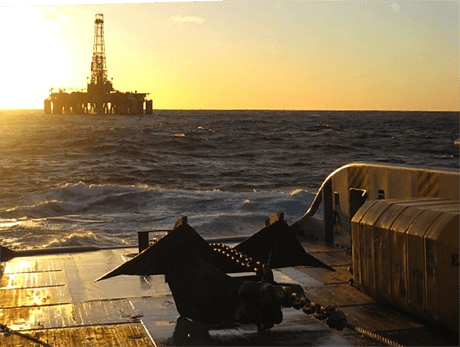 Today the company is the leading provider of Offshore Service Vessels (OSVs) in the industry, deploying vessels around the world wherever there is significant oil and gas exploration, development or production efforts. From the Ebb Tide other vessels followed: anchor handling, towing supply and supply vessels, specialty boats, offshore tugs and crew boats. These vessels work in all water depths and transport people, equipment and supplies between mainland locations and various offshore installations. 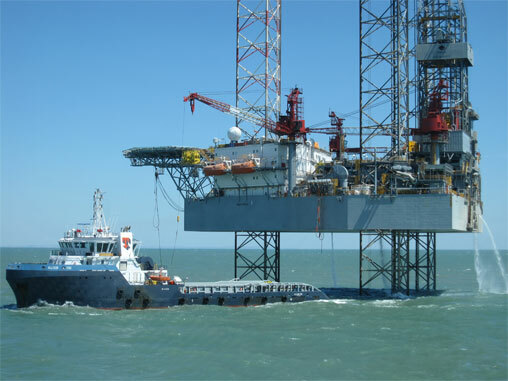 They tow, position and help anchor mobile drilling rigs. They assist in a variety of offshore construction projects and aid in a number of specialty services, including cable-laying and three-dimensional-seismic work. As the oil and gas business expanded beyond the Gulf of Mexico, Tidewater followed, initially in Venezuela in 1958 where it maintained a presence for more than 50 years, followed quickly by expansion into a variety of additional international waters. In the 1960s, Tidewater’s international presence expanded to the waters off Central America, West Africa and Australia. Today, Tidewater’s boats are on the job in various international waters and the company is well-prepared to deploy vessels and services wherever the oil and gas industry extends its search for new hydrocarbon resources. Tidewater’s rise to the top, however, didn’t come without growing pains. When the bottom fell out of the oil and gas market in the mid-1980s, many energy-related companies struggled to survive. Tidewater persevered through the hard times and even fought off an unsolicited buyout offer to stay afloat. While Tidewater has built more than its share of boats, the company has also grown by way of mergers and acquisitions, a technique employed by the company to rapidly increase its revenue base. In 1992, Tidewater consummated a merger with Zapata Gulf Marine, doubling the size of the company’s fleet at the time. In 1996, Tidewater took in a major U.S. competitor, Hornbeck Offshore Services, Inc, adding 90 more vessels to its fleet. In 1997 the company acquired O.I.L. Ltd., again significantly increasing the size of its fleet, specifically in the growing international arena. By 2000, the company embarked on an aggressive new building and acquisition program. 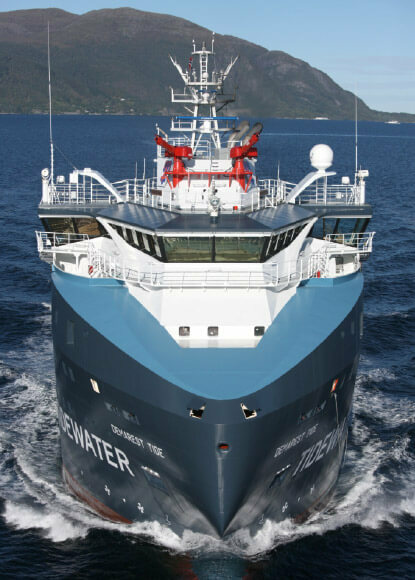 These new generation vessels has enabled Tidewater to revitalize its fleet and meet the demanding needs of its customers globally as they increasingly tackle the deepwater market. During the 1970’s, Tidewater took advantage of opportunities to expand its portfolio into related businesses as well, diversifying into oil and gas development, real estate holdings and natural gas compressors. The diversification experience ultimately led the company back to a renewed focus on its core marine business. Even so, the company and its investors benefited financially from the efforts as the sale of assets helped to eliminate debt taken on in the 1997 O.I.L. acquisition. Tidewater believes that the key to success in its core marine business is customer service. We recognize that having the most or even the best equipment is insignificant if that equipment isn’t directed and operated by knowledgeable, skilled and service-oriented employees. So Tidewater provides initial and ongoing training for its people, stressing safe operations and accommodating service. Further, Tidewater maintains offices throughout the world, so that local managers can be close to their operations and their customers, wherever they’re needed. All the while, Tidewater balances its customer-service goals with the financial goal of achieving the highest return for its stockholders, but recognizing that we operate in a cyclical business that is driven primarily by oil and gas prices and our customers’ spending habits. To that end, Tidewater’s management is continually analyzing its operations to ensure optimal returns, mindful of the expectations of all those—customers, investors and employees—who put their trust in Tidewater. Recruiting, training and retaining the best people in an increasingly competitive workplace. Tidewater’s people recognize that in today’s competitive and dynamic environment, continued industry leadership demands not just the operating excellence we’ve demonstrated in the past, but the experience, creativity and drive for exceptional safe customer service that have served the company, its investors and its employees so well for over 60 years.